Rick Sanchez looks at the US’s continuing insistence on recognizing the self-proclaimed presidency of opposition leader Juan Guaido in Venezuela, which has now manifested in Washington’s insistence that it get to choose Venezuela’s ambassador to the US. 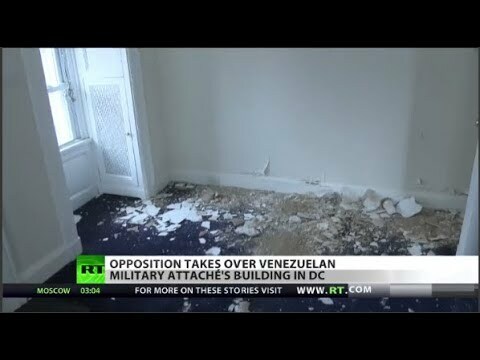 Then RT America’s Dan Cohen reports on officials loyal to Juan Guaido who have taken control of the country’s military attaché building in Washington, DC. They did so with the blessing of the US state department and now have their sights on the Venezuelan embassy itself.